These oval shaped hoop earrings appear to ‘drop’ from the earlobe, making this design a stunning contender for your jewelry wardrobe. 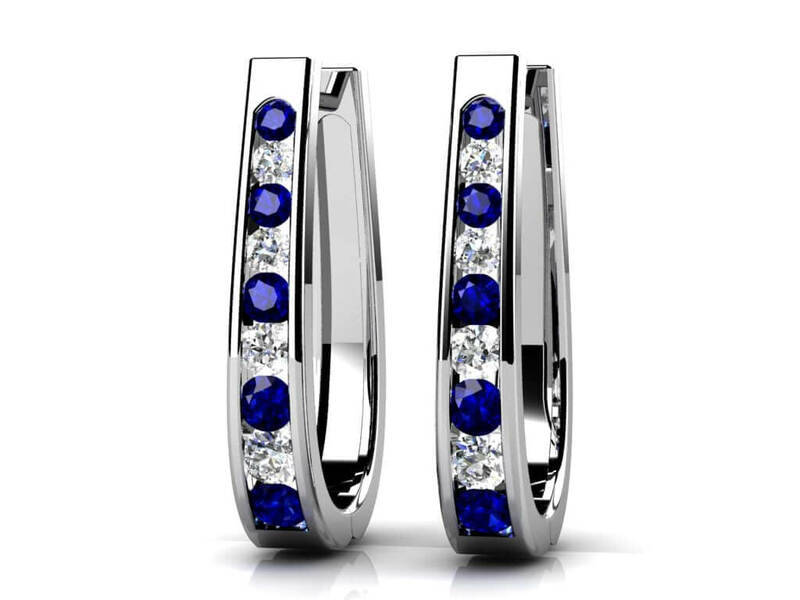 Available sizes range from 0.5 to 1.5 carats, so these earrings can be made just for your style & your budget. 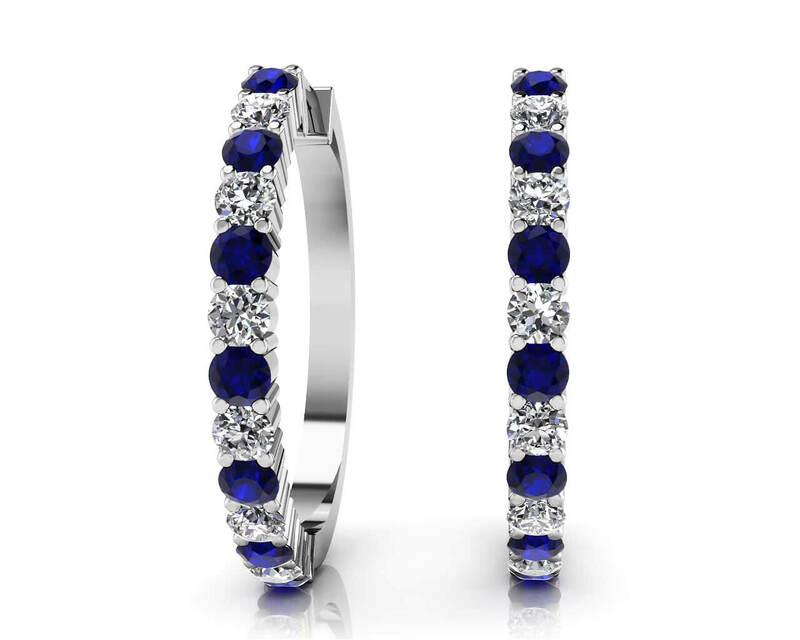 They feature round, prong set gemstones and diamonds, cascading down the front of the earrings, and the back half of the oval is crafted in contrasting metal. All gemstones are AA quality. Stone Carat Weight: 3X0.018 ct., 3X.018 ct., 4X.025 ct., 4X0.025 ct., 3X0.033 ct., 3X.033 ct.